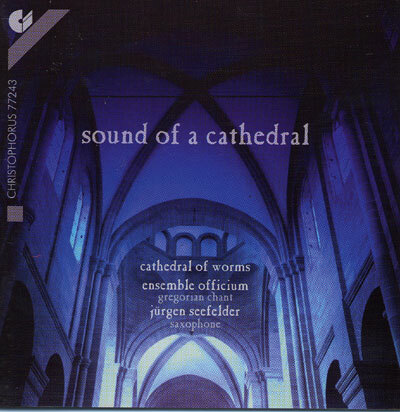 This cd was made from a live recording of a concert held in Worms Cathedral on 22nd July 2001. Its aim is to capture a symbiosis between the timeless and endless chant of the Gregorian chorale and the "evanescence" of improvisation created in the moment, as exemplified by jazz, while preserving the atmosphere needed for this act of creation. A beautiful inspired recording featuring Jurgen Seefelder on saxophone.